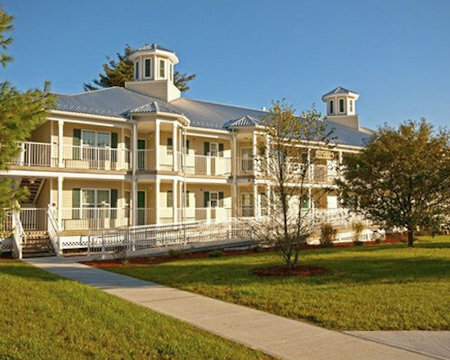 Holiday Inn Club Vacations Oak 'N Spruce Resort in South Lee, Massachusetts - Buy a 7 Night Stay in a 1 or 2 Bedroom Suite! 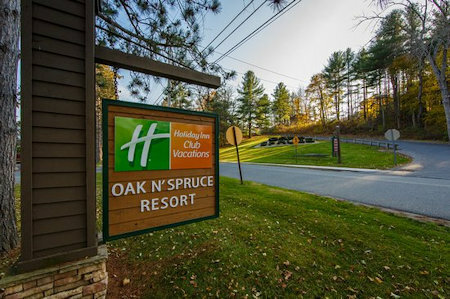 Enjoy a 1 or 2 Bedroom Suite at Oak 'N Spruce Resort in South Lee, Massachusetts! 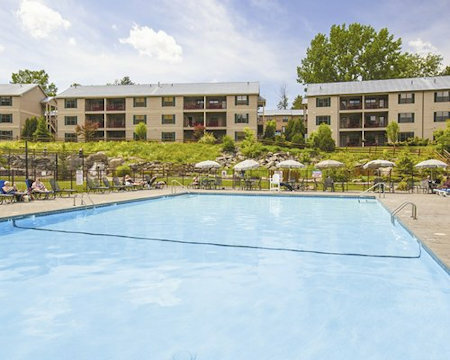 The resort is situated in the Berkshire Mountains, a region known for its cultural attractions. Among them are Tanglewood (summer home of the Boston Pops) and the Norman Rockwell Museum. 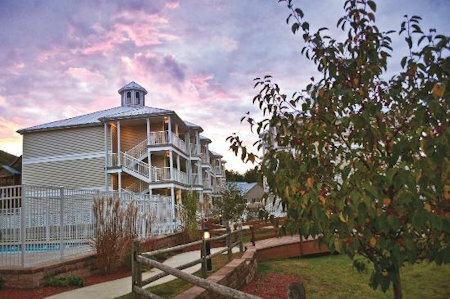 Vacationers will enjoy leaf-viewing in the fall and exploring the adjacent 10,000-acre state forest, which also has a lake. On-site are two indoor swimming pools, two outdoor pools, a whirlpool, a health club, miniature golf, movie theater, cocktail lounge, indoor activity center, outdoor basketball, tennis court, and more. The resort does not provide pool towels. 1 Bedroom MINI Suite: Sleeps up to 4 and comes with a Partial Kitchen. The Following Check-In Dates are Available in a 1 Bedroom Mini Suite! OR UPGRADE TO A 1 BEDROOM SUITE WITH A FULL KITCHEN FOR $75 FOR THE WEEK! 1 Bedroom Suite: Sleeps up to 4 and comes with a Full Kitchen. OR UPGRADE TO A 2 BEDROOM SUITE WITH A FULL KITCHEN FOR ONLY $150 FOR THE ENTIRE WEEK! 2 Bedroom Suite: Sleeps up to 6 people and has a Full Kitchen. Coffee Maker, Dishes, Dishwasher, Dining Table & Chairs, Fire Extinguisher, Full Size Stove w/Oven, Glassware, Cooking Utensils, Microwave Oven, Pots/Pans, Kitchen Sink, Cutlery, Toaster, 11 cu.ft. Refrigerator.